Anne Willis has been part of the aesthetic industry since 1976. As a young woman, she suffered from cystic acne, which set the course for her future career in aesthetics. As she searched for ways to heal her skin, she knew that whatever the outcome she would one day be of service to others that suffered from skin ailments. From adversity she was able to launch a career as one of the first clinical aestheticians to work with physicians. Anne developed disciplined strategic protocols that enhanced skin recovery for thousands that had undergone plastic surgery procedures and became highly regarded by prominent physicians who would rely on her expertise for skin therapeutics. As one of the industry's most outstanding innovators in the world of holistic skin care, Anne lectures nationally regarding collaborative care for medical institutions and skin reactions incurred by patients receiving combined chemotherapy. She is the founder of De La Terre Skincare® and the director of Oncology Skin Therapeutics™, bringing over 38 years of experience and knowledge to a new generation of skin therapist. I have been part of the skin care industry since 1976. Since then, I have held various roles and positions such as: clinical practitioner, educator, skin clinic owner, author, product formulator, lecturer and mentor. However, there is no single aspect of my work that has impacted me or taught the most. I have always believed that being diverse allows one to push beyond restraints that prohibit growth. All my roles have allowed me to go beyond my comfort zone, challenging me to develop various talents I never thought I possessed. I feel each position has given me the courage and confidence to practice with an innovative perspective. I believe it is important to try things you never thought you could do, but go in with the intention that you want to develop a new aspect of yourself. I have always believed in the purpose of my work and surrounded myself with others that share the same passion. Passion is my secret to keeping life in balance and enjoying the journey. It is on the days that I am ready to throw in the hat that I receive an e-mail or call from someone with a testimonial that our products or training has changed and improved someone's life. I conclude the conversation with a moment of humility and know I have been given the nudge needed to go on. I feel I was destined to have a career in the skin care industry. I have had to reinvent myself within the industry several times, but have never diverted from the core of what I believe. My philosophy has been far from convenient or conventional. It has been honest and with the purist intention. I came into this profession with no real skills or tools, but a desire to help others overcome adverse skin conditions as I had suffered as a young girl. I have never followed trends in order to make myself relevant, but instead focused on helping people achieve health and wellness. Someone once said, "It takes two to see one, you cannot see yourself in a void." My clients, students, and professional colleagues all provide a reflecting pool, allowing me to see my purpose more clearly. I do not believe in equipment or mechanical tools. I do believe that the earth provides the only tools necessary for skin recovery. Gemstone massage wands are considered nature's galvanic current, providing deep relaxation and better penetration of products. The pure crystalline presence of the gemstones provides the treatment room with a sense of well-being and offers many health benefits. My theme has been to trust my gut instinct. I have relied heavily on observation and being keen to understand the voids and needs of the industry. I adore researching historical data. Especially remedies from rural Asian countries where all they have is the earth and plants for medicine. It is invaluable to study abroad. It is essential to gain a global perspective on what interest you. You will find that in some of the most remote corners of the world there is a practitioner that sees the treatment of skin through same lens as you. It is surprising to me that we still do not have national standardization for our industry. I feel unification of guidelines and standards from state to state would bring greater recognition and respect to the aesthetic industry. People come to a particular spa/skin clinic for an experience and for service that focuses on them. In addition, they are looking for consistency. I believe the foundation for a successful clinic is a knowledgeable and well-trained staff. There also has to be cohesiveness among staff and how they educate clients. The products and services should all tell the same story, and the staff should support that story. There is nothing worse than a spa located in a medical complex, yet they sell handbags and jewelry. This confuses the public and the spa loses credibility. Topical hydrotherapy is signature to the De La Terre Skincare® facial. Bathing the skin with herbal infusions energetically shifts clients into a state of deep relaxation. The aroma of the pure plant material reunites the client with nature, which provides a multitude of health benefits. Compression techniques seem subtle, however the pumping action activates lymphatic movement, thus preparing the living space of the skin to detoxify. The inhalation of the herbs is also highly therapeutic. After three decades of practicing clinical skin care, I have gained a unique perspective of skin health and how our lifestyles had altered its resistance. I have seen many changes to the skin, but none as profound as we are currently going through. Skin conditions that were once defined as rare are now the new normal. The need to care for our skin with ingredients that are of nutritional purity is essential for our overall health and longevity. Many changes are necessary to the treatment room in order to stay relevant: Techniques and manipulations need to be altered, reduce the use of equipment, avoid synthetic ingredients, and reduce the duration of treatments. I believe aestheticians need to develop their assessment skills and limit the extraction procedures. Aestheticians need to train their eye to view skin beyond oily, dry, and combination. If you cannot assess skin deficiencies or detect a compromised eco system, then all bets are off on the type of results you will achieve. Skin has changed, so must how we view it. I see many aestheticians applying the extractions procedure to grade 2 and 3 acne. This will further rupture the follicle, creating additional inflammation and the spread of infection. It is becoming standard to apply skin peels to cystic acne. Skin peels on a cystic acne will on exacerbate the inflammatory condition and shrink skin tissue, thus confining debris. Since my realm is green technology, it is all relatively super. Being able to stabilize non–synthetic ingredients is revolutionary. It is the wave of the future, but there are still many challenges that lie ahead. It is so exciting to be part of the revolution that will bring safe, synthetic-free products to our industry. Formulating with green technology is not only rewarding, but also takes super courage. You wear so many hats: educator, researcher, consultant, aesthetician, spa owner, et cetera. What is your secret to keeping life in balance and enjoying the journey? Passion! Receiving testimonials that our products or training has changed and improved someone’s life. It is on those days that I am ready to throw in the hat that I receive an e-mail or call from someone with an amazing story. I conclude the conversation with a moment of humility and know I have been given the nudge needed to go on. 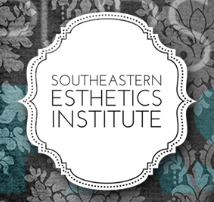 I feel it is the most exciting time to be an aesthetician with endless possibilities. In addition, I would not be able to do what I do without the support of an amazing staff. Their dedication makes the journey a joy. De La Terre Skincare® supports two charitable organizations. Noah’s Ark and the Mederi Foundation. Noah’s Ark is an animal rescue center in South Carolina. They contacted us early this year regarding a dog with a severe skin condition. De La Terre Skincare® is an amazing product, but I knew it would not phase this rare condition. I sent the products anyway only to receive a communication that Noah’s Ark started using our products on all their burn and trauma animals. They were getting amazing results. Now every time we manufacture Herb Rich Balm we donate several jars to Noah’s Ark. We are thrilled to offer a skin care product that goes beyond the complexion for healing. Since De La Terre Skincare® offers cancer patients a safe way to address skin changes due to chemotherapy and radiation therapy, it was a natural to align ourselves with the Mederi Foundation. The Mederi Foundation is dedicated to research, education, and Holistic Healing for cancer patients. We are proud to have Donnie Yance, Mederi founder, on our medical advisory board. The advice I give every client is to engage in self-care! The body is longing for you to show you care. Engaging in a self-care regime tells your body that you honor it and it will respond by healing on many levels.